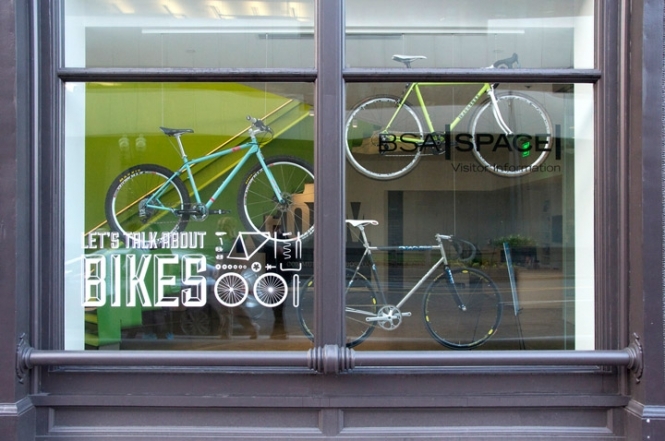 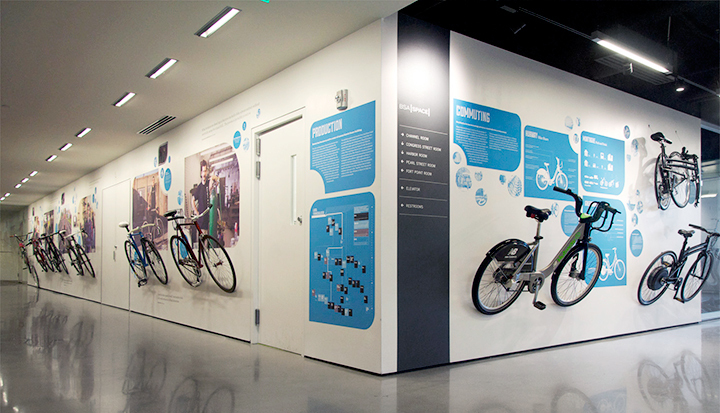 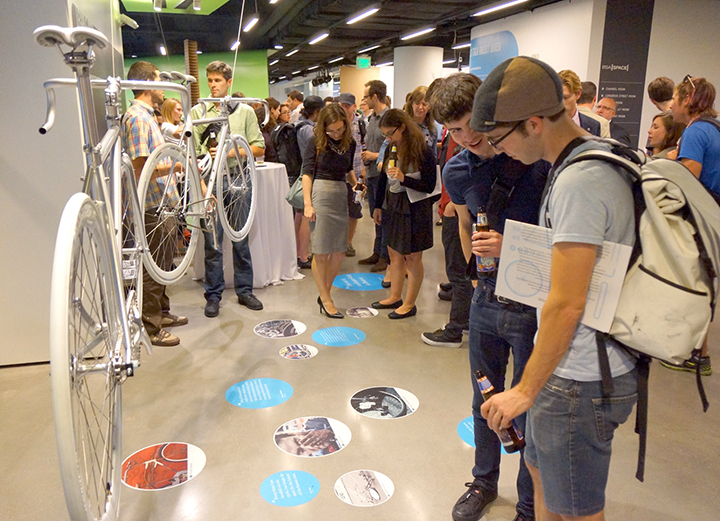 The exhibition Let’s Talk About Bikes examines changes in Boston’s public realm as they relate to the bicycle. 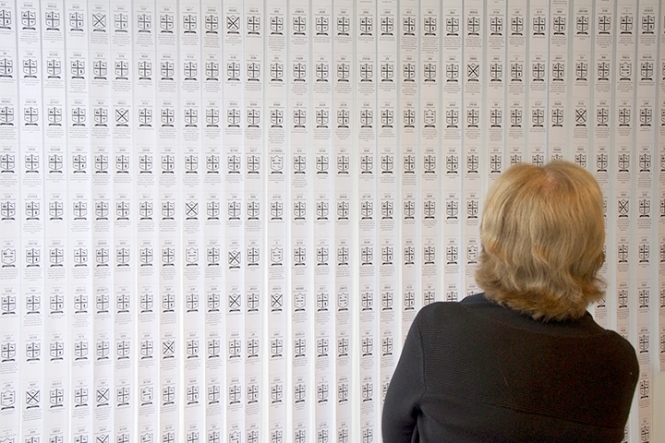 The exhibition is the second in a series curated by over,under for BSA Space and drew nearly eight hundred people to the opening. 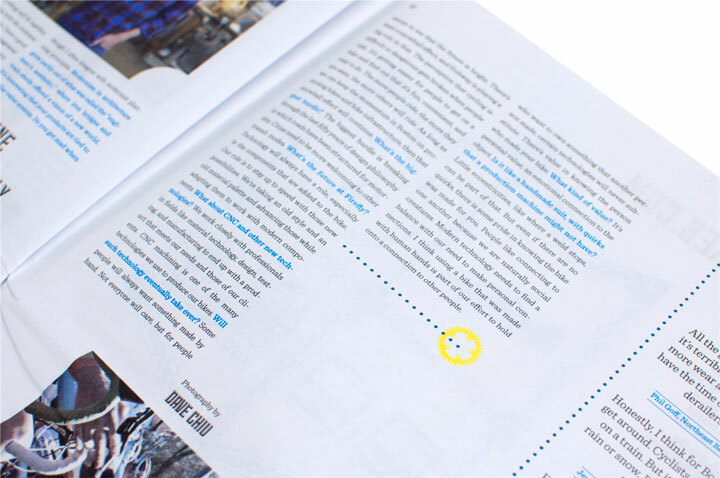 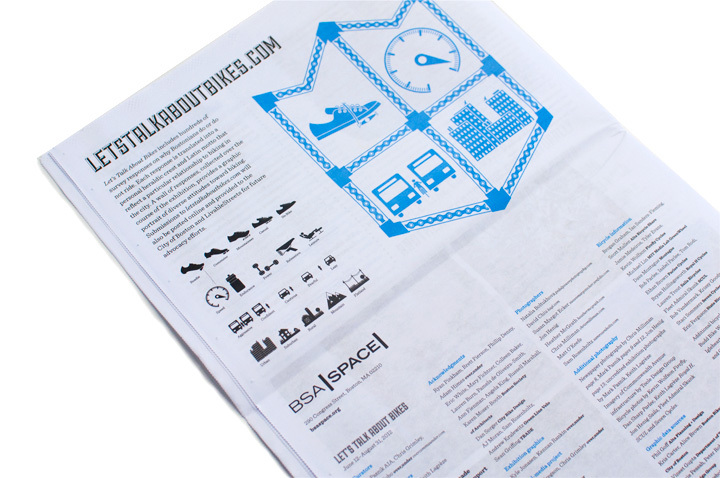 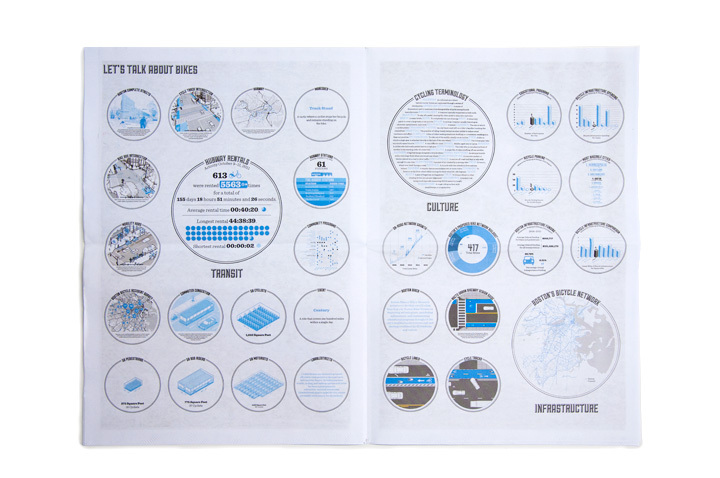 Content is presented around five themes: infrastructure, culture, transit, production, and participation. 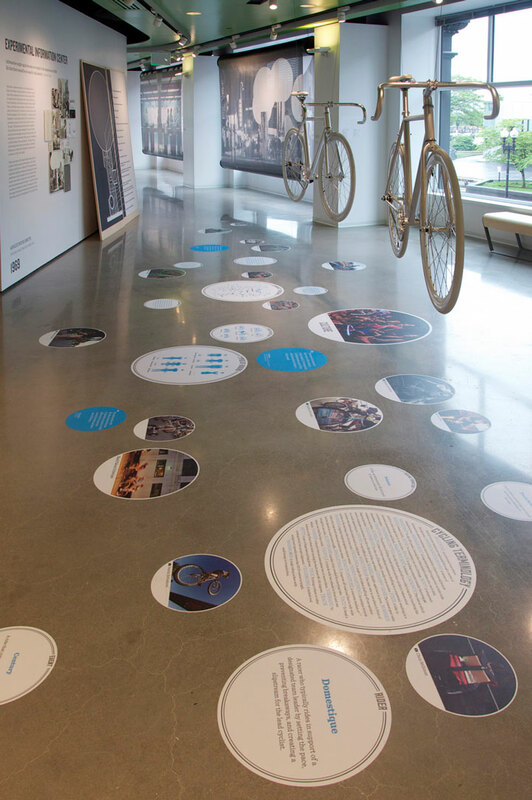 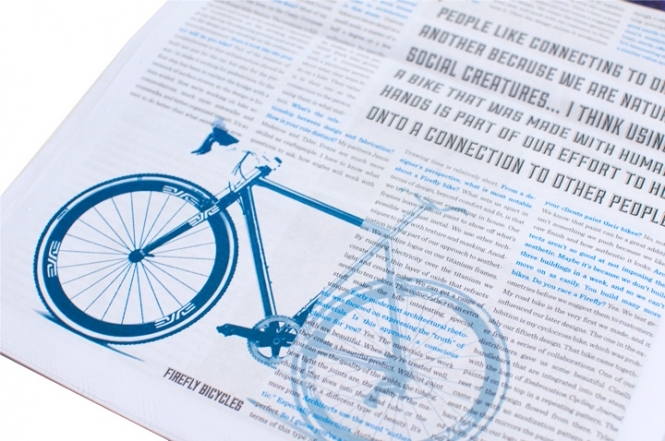 Graphics explore how cycling relates to urban and environmental public policy. 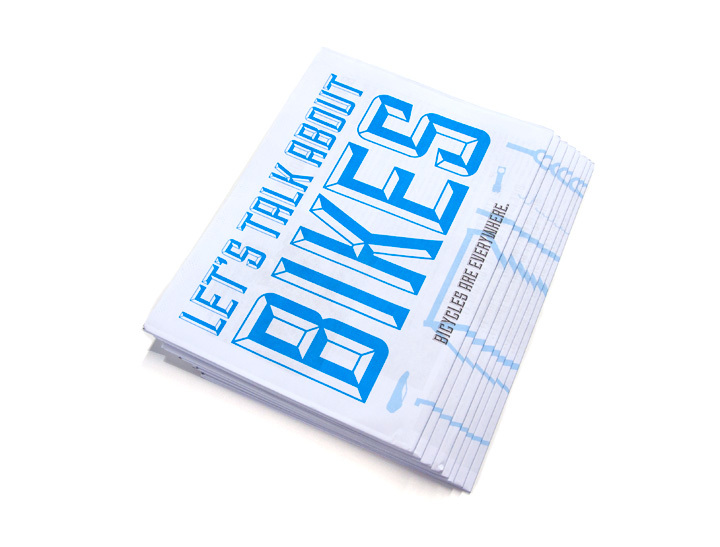 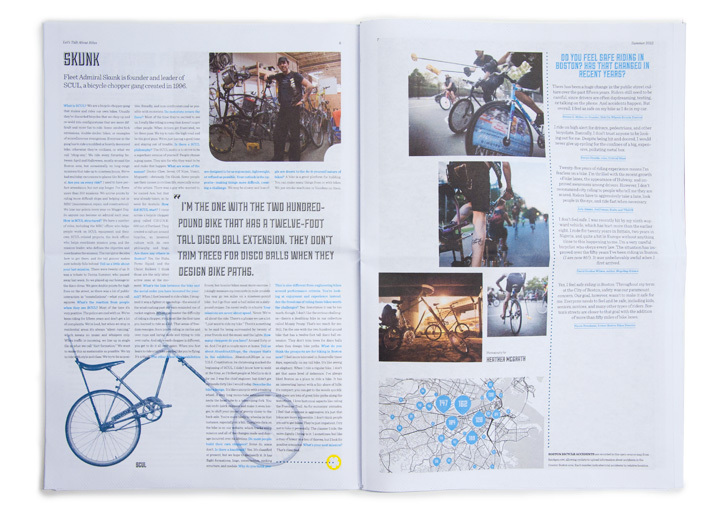 Interviews and photographs register the voices and experiences of communities that have coalesced around the bike. 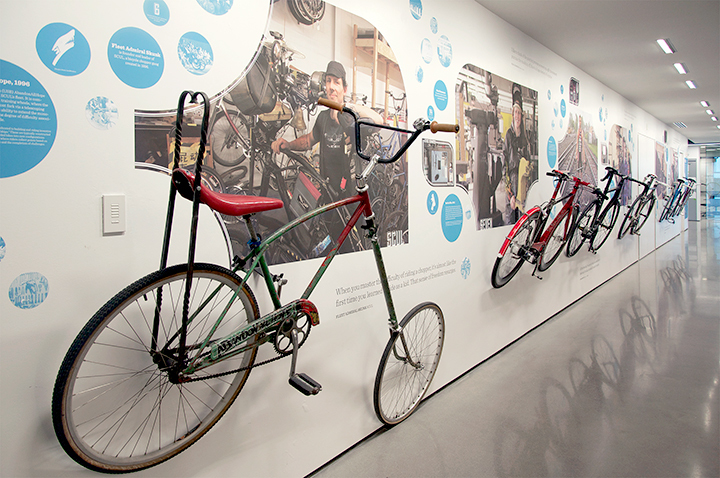 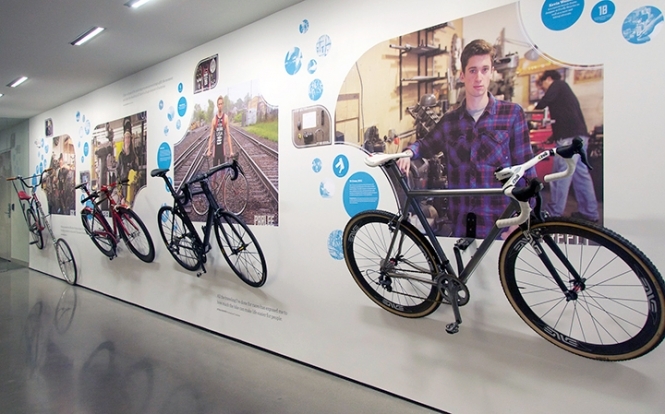 Examples of custom bicycles highlight the innovative craft and production techniques of the region’s expanding field of bicycle fabricators. 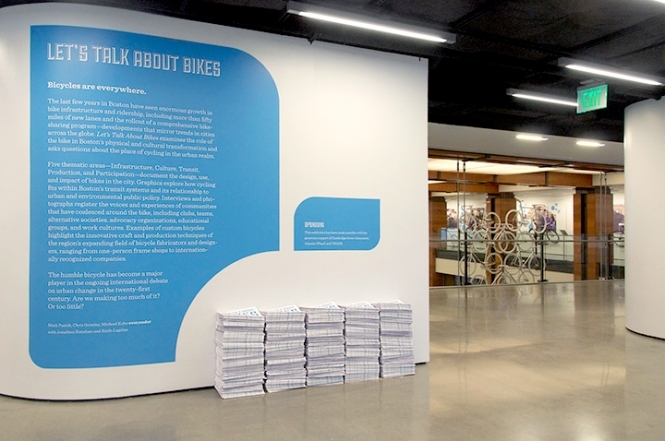 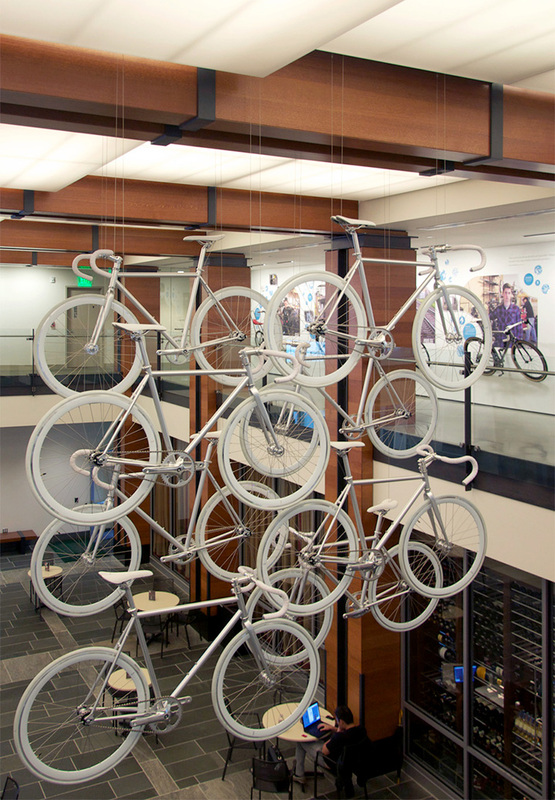 As part of the exhibition, the team created a suspended bicycle sculpture, the installation of two dozen bicycles, a short film, data graphics, an online social media project, and a broadsheet publication.